We chose Stella Maris Hotel after browsing through tripadvisor that ranked it as one of the better hotel in the North German metropolis. 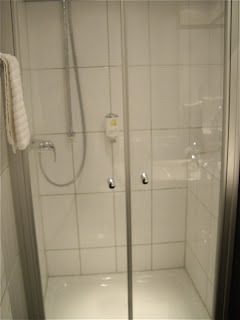 We found Stella Maris Hotel an agreeable place to stay in Hamburg. 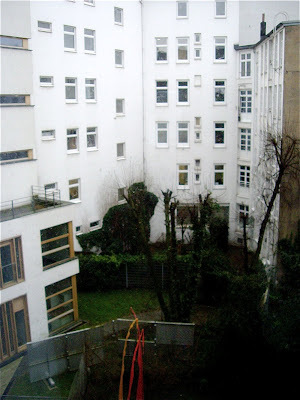 Stella Maris Hotel is located in St. Pauli area, a 15-20 minute walk from the city centre and a five-minute walk away from Landungsbrücken S and U-bahn station. This is a mixed business and residential area with small shops and restaurants close to the Hamburg harbour. Good service from breakfast staff, and partly the receptionists. I say partly, as we were not taken seriously when complaining on the very unreliable (and free) wireless Internet access. 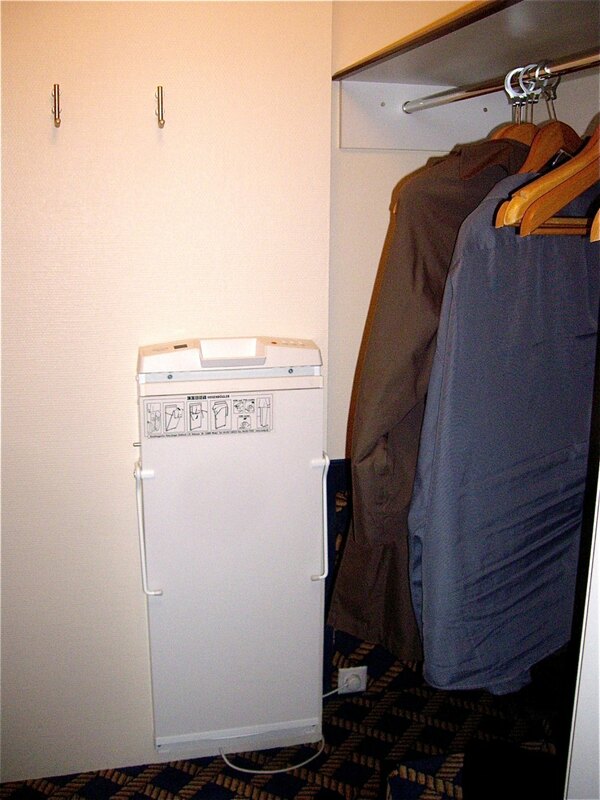 Good sized rooms, mine with a walking closet (!). Very comfortable bed. I would have preferred a wider bed, but I was given a double room with two narrow single beds. Neutral and rather boring interior design with a hint of maritime style. 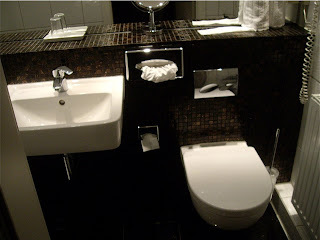 The exception was the bathroom that had been redecorated up to a very hign standard with designer tiles, new sink, and very nice and roomy shower cabinet. Room was very well maintained and bathroom was immaculate as it was brand new. On hygiene the main issue was the carpet. Not that it was dirty but it is hard to keep up a high hygienic standard with wall to wall carpeting, but sadly these carpets are still chosen as main floor covering, even in new hotels. Except carpets we were very satisfies on the hygienic standard of Stella Maris Hotel. No dust on surfaces, picture frames, and bathroom was shining after it had been cleaned by the staff. Breakfast was not included in our price, but the price (€7) was so low that we decided to order breakfast for four days. It was a decent breakfast for that price. You could pick a boiled egg, different breads and rolls, sandwich spreads, cheese cold cuts as well as fruit and cereal. Great freshly brewed coffee or tea was served in separate pots at each table. To quell your thirst you could pour sparkling water, apple or orange juice in your glass. Stella Maris Hotel can offer very few facilities. There is no bar at the hotel, but you can order drinks at the reception and enjoy it in the adjacent library / pool room. There is no fitness facilities, swimming pool, spa or wellness areas. The hotel offers a free wireless internet but it was highly unreliable, when working, and out of order most of our stay. You can use the extra PC available in the lobby. 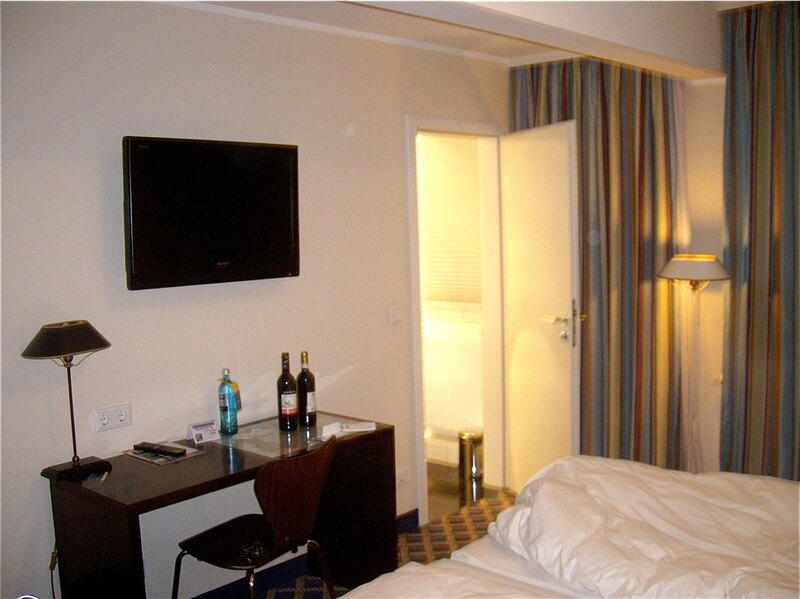 At € 100 per night Stella Maris Hotel is a low price and satisfactory hotel in Hamburg Germany. Good sized rooms in a nice neighbourhood close to the city centre is its assets. Absence of an inhouse restaurants and bar is not important as the area is packed with places to eat and drink. The hotel is obliged to offer proper wireless Internet access to its guests, as more and more of us wants this service when traveling. I would rather pay a small fee for a proper service than being offered a non-working system for free.